I’d like to introduce Frontier Beverage, a sponsor for both BlogFest and Blogmania! How refreshing that there is an alternative to all those energy drinks….Frontier beverages may be the answer you need to unwind from everyday life stresses. 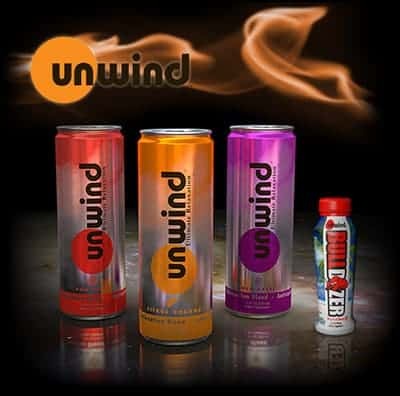 “Unwind” contains vitamins B and C and comes in three lightly carbonated flavors: Citrus Orange, Goji Grape and Pom Berry. As an added bonus, there is only 40 calories and 10 grams of sugar in each can. You can purchase Unwind through the online store or go to their website to learn more about Frontier Beverages. Read Stacie’s review of Unwind. Frontier Beverage is giving away 15 Gift Packs to 15 winners and includes 6 cans Unwind (2 of each flavor), a T-Shirt and a Hat. How fantastic is that! (U.S. Only).